Jackman is like BigFoot no clear picture of him exsists. Ric "Not Hugh" Jackman was drafted by the Dallas Stars in 1996 sandwiched between two former part-time Pens Jarome Iginla in 1995 and Brenden Morrow in 1997. Jackman floated around the NHL and IHL never really finding a home . It was only during the disgusting 2003-2004 Penguins season to where he had his best offensive year putting up 24 points in 25 games (7/17/24) which on that team that had the talents of the Fata, Kraft, and Surovy. That's ... not bad. Jackman got shipped to the Panther's later than year for Petr Taticek who never played for the club. Jackman will ... well MAY ... be known for scoring the goal that snapped the Penguins pitiful 18 game losing streak. This poor jabroni had the unenviable task of being the guy (along with Troy Murray) to come back on the Martin Straka trade. No matter who it was coming back from that trade that shipped, arguably, our last star out of town was going to have a tough time endearing to the fans. Norm came late during the 1995 season and was shipped out in 1996 for Neil Wilson from the O.G. Jets. 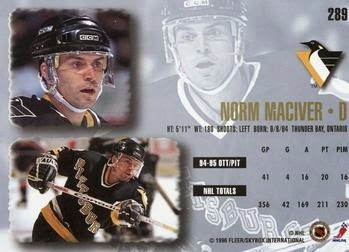 Norm had the honor of scoring the very very very last goal for the Winnipeg Jets before they were shipped to the desert. He really had no honorable moment with the Penguins but made good use of his time. With the Penguins D-Core having names like Mironov, Moran, Berkvist, and the living legend Francois Leroux what he did with his time was pretty remarkable. 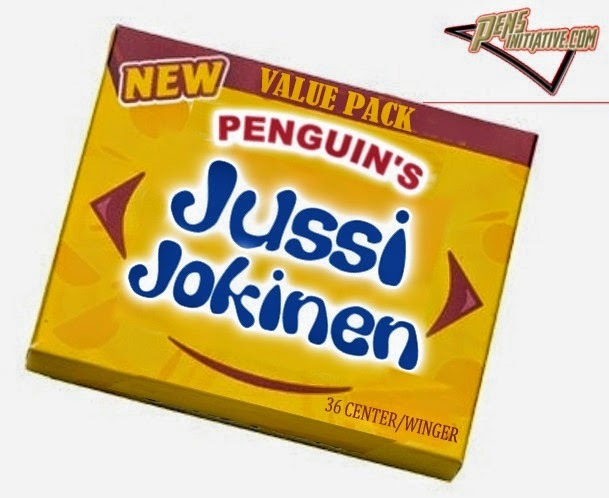 What a steal Juice was for the Penguins! For a conditional basement draft pick the Penguins got a consistent contributor to the offense, a shootout specialist, and a versatile player who could play any position asked of him. Plus he did "The Paralyser" in the shootout a move perfected by Petr Forsberg but galvanized by Jussi. He was a hidden gem in the off season that gave us Iginla, Morrow, and Murray but left this year to get paid in Florida. 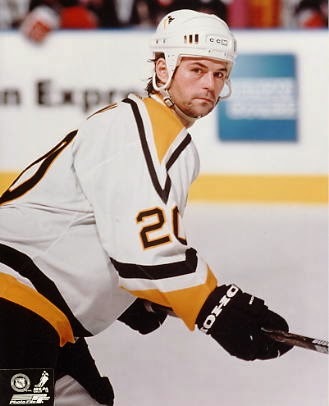 Bryan "Smoke" Smolinski was another player coming in via trading a fan darling of Kevin Stevens. He was a young player who scored 31 goals in his sophomore season and the idea of him playing with the offensive juggernaut that was the mid-90's Penguins was enough to cauterize the wound of the aging Stevens leaving the 412. 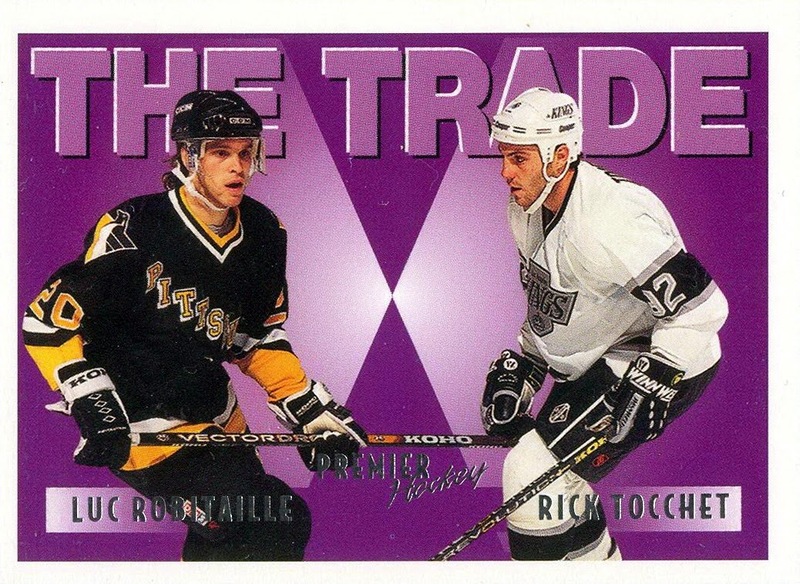 Smolinski played one admirable season with the Penguins before he went all diva and held out on his contact in 1996. Mike Millbury and his infinite wisdom gave us Darius F'N Kasparaitis and Andreas Johanssson for the rights to negotiate a new contact with him. He played 13 more seasons and scored 200 more goals in the NHL but never matched his career high of 64p as he did for the Penguins. This video below probably has nothing to do with Bryan Smolinski but I'm posting it anyways. We all know the Marian Hossa story. A newly tenured Shero pushed all his chip on the table at 3:59pm snagging Hossa and making the Penguins a real deal for the first time in years. After falling short in the Stanley Cup Finals in 2008 he left the Penguins to go to the team that defeated him, the Red Wings and watched the Penguins hoist their 3rd Cup on his ice. We all had a good laugh and karma, in this case, was perfectly in balance. We all seem to forget that when Hossa was here he produced and made the young Penguins very, very dangerous. 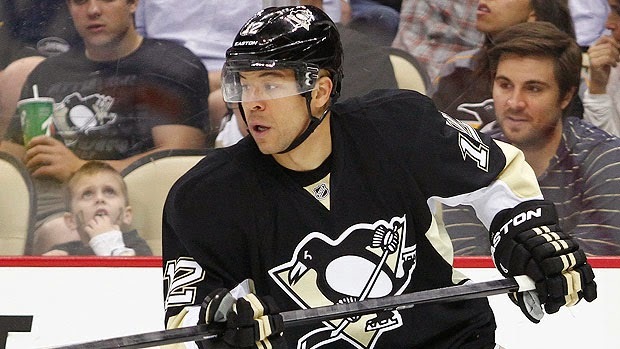 He scored 26 points in 20 playoff games for the Pens and single handedly dominated when he was on the ice. I consider him to be one of the best two-way forwards in the league and one of THE most complete players in the NHL. He deserves the two Cups that he's earned with the Blackhawks and is poised to earn more before he hangs up his skates. This was another monumental moment in time for the Penguins. I wrote about this pre-PensInitiative days and I considered it only a dream but in the middle of the night (literally around 1am) the Shero swooped in and grabbed him from the clutches of the Boston Bruins. He didn't play much and was played on the wrong wing for some reason but for the time he was with the Penguins he earned the hearts of the fan-base. Earned 12 points in 15 playoff games that year as well he contributed to getting the Penguins to the Eastern Conference Finals. 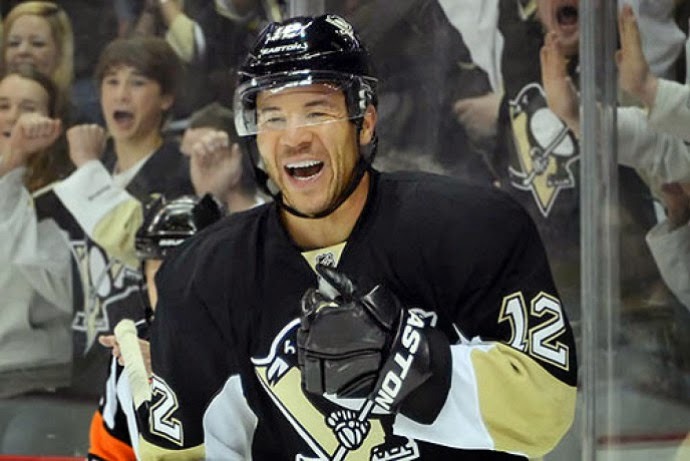 Iginla then left that year to sign with the Bruins leaving a good impression with everyone in Pittsburgh. Brenden Morrow was the heart and soul of the Dallas Stars captaining the franchise from 2006-2013. He waived his no-trade clause to come to Pittsburgh to attain hockey's ultimate prize. Sadly, he will forever be remembered as the squad that came in and massively underachieved in the playoffs with what was considered a "dream team". 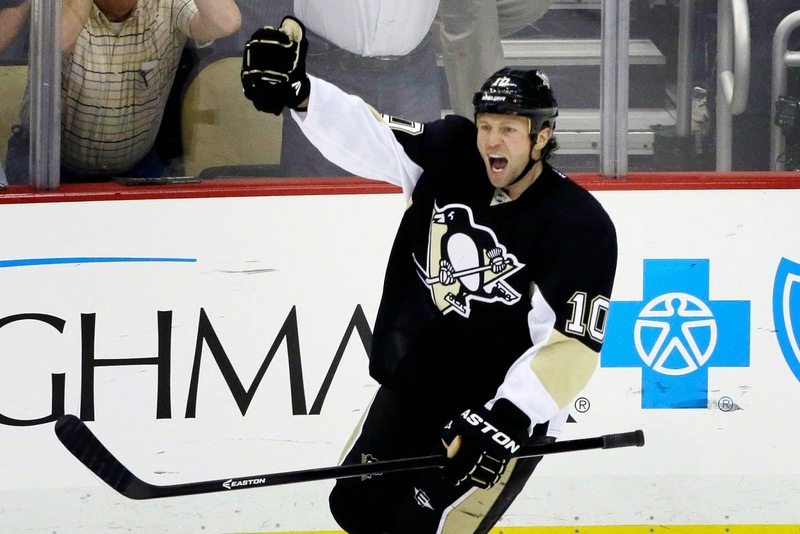 Morrow brought his unique skill-set of grit, toughness and skill made him instantly respected and loved in Pittsburgh. The playoffs came around and he only put up 4 points in 14 games causing people to criticize his desire to win. It was later found out that he broke his damn kneecap and didn't foreclose it until after the season was over. Morrow was a massive positive influence on the ice who played tough and could back it up easily; too bad PK Subban didn't figure that out until it was too late. I remember Zubov being synonymous with the birth of the "SHOOOOOOOOT" mantra at the Civic Arena. 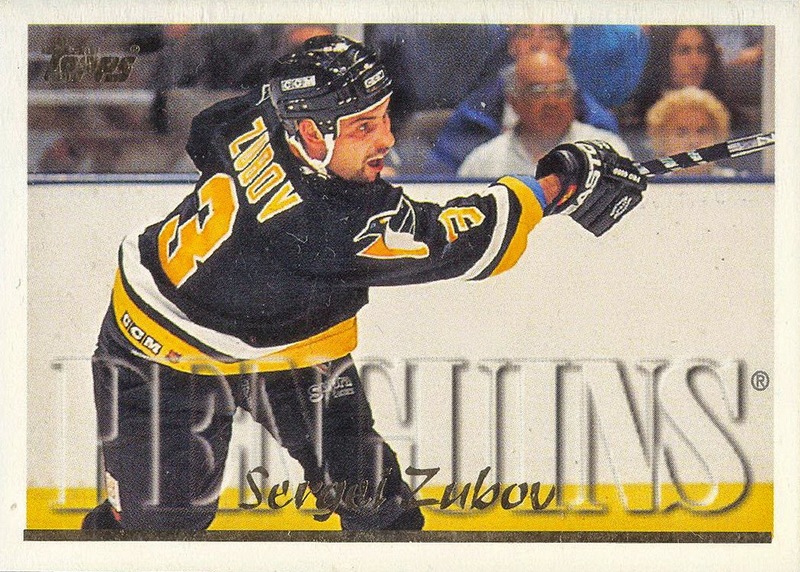 Coming from the Stanley Cup Champion New York Rangers, Zubov was a bonifide stud defenseman that remind the Penguins of the departed Paul Coffey or Larry Murphy. Being one of the first Russians with their name engraved on the Cup giving up an aging Ulfy and Luc almost didn't seem too bad. Zubov put up monster numbers with the stacked Penguins earning 32 point on the powerplay alone. The future of the Penguins blue-line seemed bright until .... he decided to piss off Mario. It was documented that Mario and Zubov clashed on and off the ice about the Penguins power-play and in Pittsburgh, Mario wins that arguement 1000 times out of 1000 so he was shipped to the Stars (where he stayed for the rest of his career) for Kevin "not Darian" Hatcher. Interesting article! Should never have traded Zubov, Palffy was a joke for retiring (I am convinced it was more to do with how lousy that season was going than a "shoulder" injury) and could have been apart of something awesome. Loved Smolinski in Ottawa. MacIver is a blast from the past - unlucky SOB to play for god awful teams in Ottawa here, but was well loved (Have that hockey card btw) and the trade surprisingly PO'd the few fans the team had early on. Was a big fan of Jackman, especially after the trade to the Pens and it was too bad he couldn't be consistent in the NHL considering his skill set. Wierd fact - he finally retired in the last year here, but I ran across him during my time in school in Barrie, Ontario about 7 years ago. His family owns a home south of the city and despite playing in Europe, he would summer back in Barrie. Class act. You should do a goaltending list like this as well. I bet Ron Tugnutt ranks high on that list!